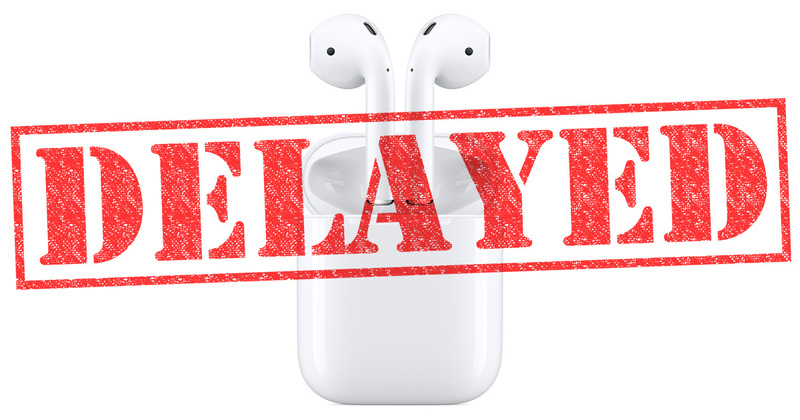 If you’ve been holding out for Apple’s promised “late October” AirPods release, it looks like you’ll be waiting a little longer. Apple isn’t shipping its wireless earpods this month because they’re still not ready to go. Apple showed off AirPods at its September iPhone 7 launch event, and while the smartphone refresh made it to customers days later, the wireless earpods were tagged for a late October release. Now that we’re only days away from November, Apple is confirming we won’t see AirPods shipping this month. The preproduction units Apple shared with the media suffer from minor bugs and occasional connectivity issues. That seems to be enough to keep Apple from shipping, and as annoying as that may be, it’s the right choice. Apple is already facing criticism for the long gaps between Mac updates, and shipping buggy AirPods would be worse for the company’s reputation than shipping late. Apple isn’t saying when AirPods will ship. Regardless, it looks like hopefully shipping before Halloween is now maybe by Thanksgiving. Sadly, I don’t think these are for me. The “improved” shape of the Apple earbuds don’t fit my ears; apparently I am not average enough. While the technical engineering is impressive, I’ll probably have to look elsewhere for more traditional wireless earbuds with the silicone tips. Fortunately for me, MacObserve has some reviews! As long as they are on the shelves by Black Friday.